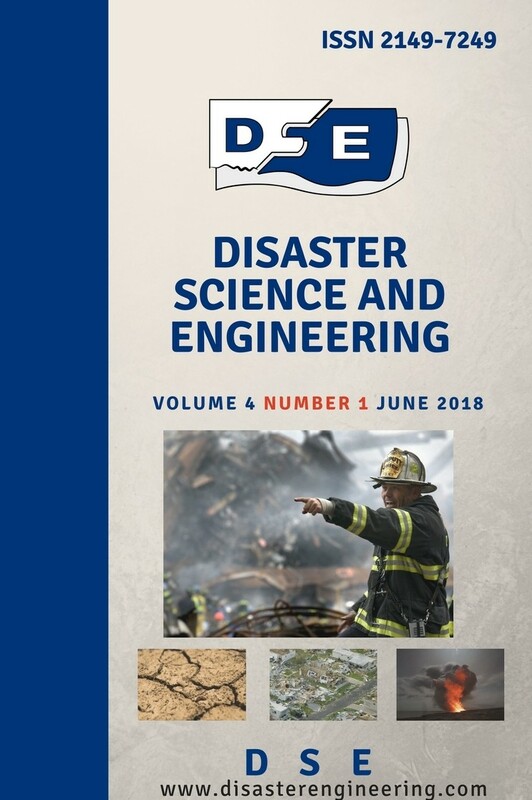 Disaster Science and Engineering (DSE) is a multidisciplinary international journal devoted to the open access publication of scientific studies and original researches on disaster science and engineering. The origin of disasters can vary such as atmospheric, hydrologic, oceanographic, volcanic, seismic, tectonic, etc. These sources associate different scientific fields with operational disciplines can contribute to the mitigation of disasters. DSE serves to a wide community of research scientists, decision makers concerned with disasters detection, monitoring and modelling. DSE also invites studies about risk assessment, risk management, the design and construction of strategies, including economic aspects of disasters. DSE targets studies on science and engineering. As a peer-reviewed publication, DSE accepts research articles, review articles, brief communications, comments & replies. Papers submitted to DSE can address various methods and approaches such as theories, modellings, experiments and case studies.